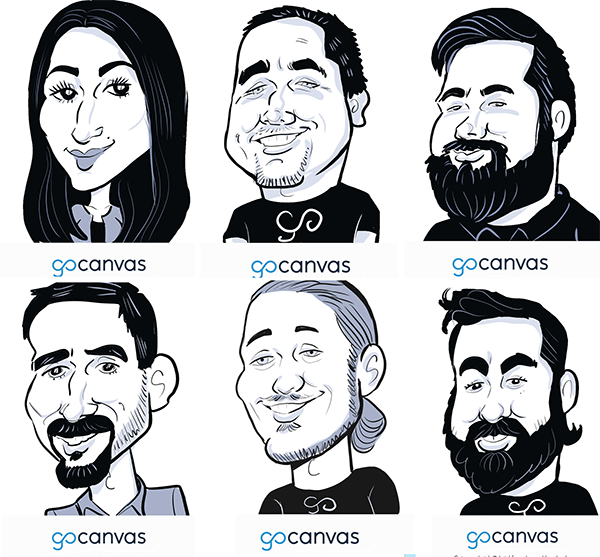 Laura drew live digital caricatures a conference for GoCanvas at Convene in Tyson’s Corner, Virginia. The caricatures were done in black and white with a hint of color – a bit faster than full color. As usual, each person got a 4×6 inch print of the caricature at the event. This entry was posted in Live caricatures, Live digital caricatures at events, Northern Virginia caricatures, Northern Virginia Digital Caricatures, Tysons Corner Virginia caricatures. Bookmark the permalink.